We've always been concerned that the High Line had made a deal with the devil regarding the Rail Yards portion of the tracks. That's the portion above 30th Street. 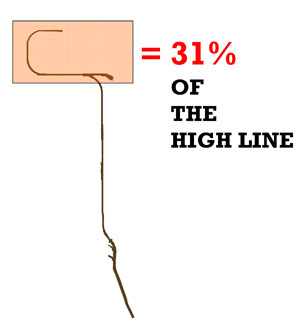 While the hoopla about a West Side Stadium was in full fur mode (way back in 2005), the Friends of the High Line were busy planning and rail banking the rest of the High Line. 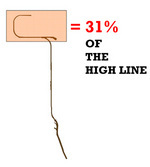 Of course, anyone who has worked on a design for the High Line knows that the upper 30%, which curls around the West Side Rail Yards, is what gives the High Line the ability to connect, at both ends, to the Hudson River Park, and the water. It is also the end where you can walk from street level smoothly up to High Line level. So why was FTHL giving it up? The answer, apparently, is that they were simply biding their time. Let the big dogs tear each other to bits. Now, without a plan, direction, or powerful sponsor (or Olympic bid, for that matter) to interfere, the Rail Yards seems ripe for another fresh-faced entrant, and FTHL appears to be eager to garner political and popular support for this important piece of (potential) public space. FTHL is holding a public gathering, where they will present possibilities for this portion of the High Line, as well as gather comments from the public. Oh, and serve their famous High Line cookies and cider. Chelsea Market Community Space, 75 Ninth Avenue, 6.30pm Thursday December 7. RSVP required, contact [email protected] or 212.206.9922.